If you think about it, you can't really screw up a bagel. Anything you do to a bagel -- toast it, spread cream cheese on it, turn it into a sandwich -- only makes it even better. Well, it looks like there's a new way to make a bagel better that you probably haven't considered outside of your wildest carb-induced dreams: bake mac & cheese into it. 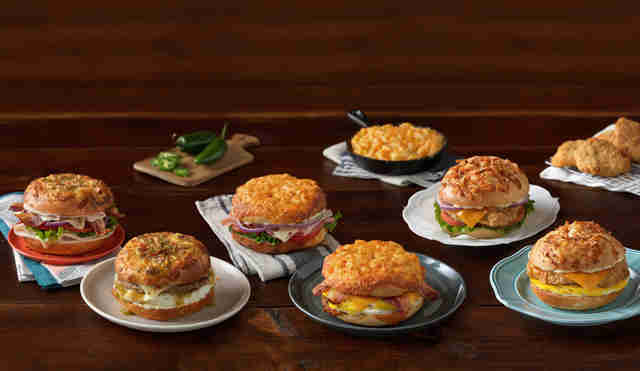 The insanely cheesy bread-pasta hybrid is the star of Einstein Bros. Bagels' new Flavors Across America menu, featuring bagels and sandwiches inspired by beloved comfort foods from all across the country. As the chain explained in a press release announcing the launch on Wednesday, the menu let's you take a "culinary road trip" of sorts to the Midwest, South, and Southwest by way of crazy bagel sandwiches. Just think of the bagels as wheels. 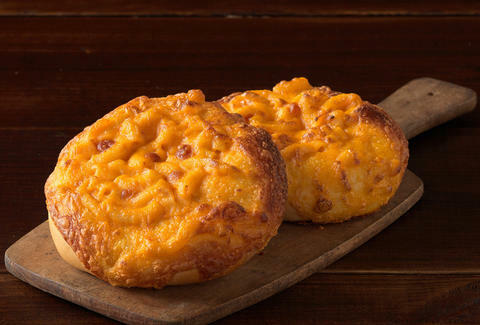 Einstein said the Mac & Cheese Bagel features a helping of Annie's mac & cheese baked right into the dough, a unique spin on the American classic you usually eat out of a box. In addition to ordering it plain or with cream cheese, you can also order it as a breakfast sandwich with bacon, eggs, and cheddar, or as a lunch sandwich with ham, Swiss cheese, tomato, onion, and mayo. No matter how you eat it, you should pause for a moment and reflect on your life choices. As you can see, the chain barely scratched the surface of America's long list of regionally beloved comfort foods, but maybe that just means they'll unleash more in the future. We can only hope for buffalo chicken or Philly cheesesteak bagels some day. Tony Merevick is Senior News Editor at Thrillist and needs a bag of these immediately. Send news tips to news@thrillist.com and follow him on Twitter @tonymerevick.